Plan an escape to California’s winter wonderlands to glide cross country, swish down ski slopes, or snow shoe through the wilderness. Afterwards, bask in the warmth of a nearby bed and breakfast inn with a roaring fire, a steaming cup of cocoa, plush amenities, and unique personal touches. 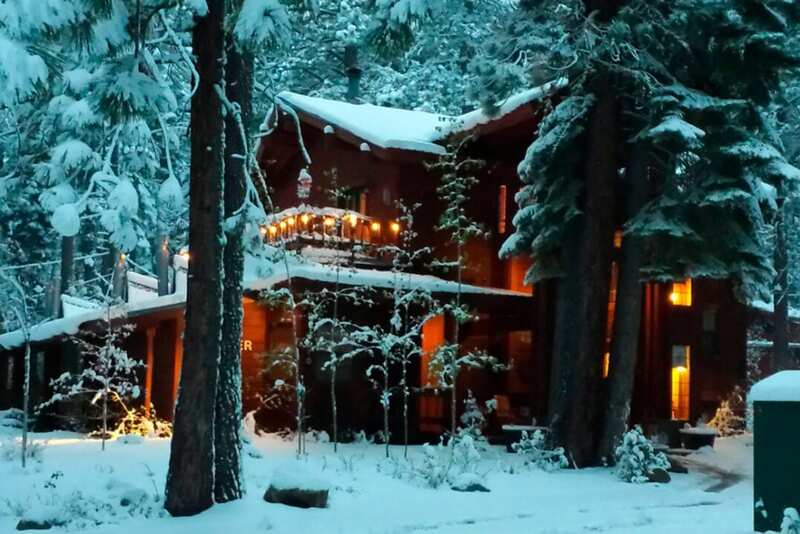 Here’s a list of California inns ideal for snowy winter adventures and relaxation. Historic Sorensen’s Resort, just south of Lake Tahoe and east of Kirkwood Ski Area, sits on 165 forested acres, offers a charming selection of log cabins and features a wood-fired sauna. Guests enjoy free access to the resort’s snowshoes and—for the child in each of us—a sledding hill just outside the front door. For more adventurous snow play, the nearby Hope Valley Outdoor Center rents cross-country skis and maintains well-marked trails, and the ski resorts at Kirkwood and Lake Tahoe are just minutes away. After a day on the snow, relax fireside back at Sorenson’s Country Cafe with complimentary hot cocoa or a glass of wine. In South Lake Tahoe and minutes from world-class skiing, Black Bear Lodge exudes rustic elegance in a relaxed mountain setting. 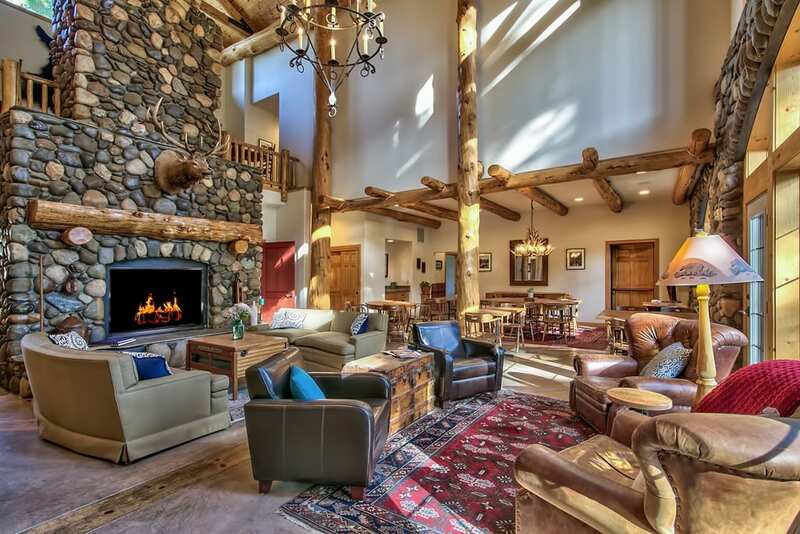 The main lodge houses five well-appointed guest rooms, each with river rock fireplaces. Scattered among the pines are three romantic cabins and a hot tub gazebo. A ski shuttle stop for Heavenly Mountain Resort is located just outside. With over 4,800 skiable acres, the resort offers a little something for everyone, including breathtaking views of Lake Tahoe. For non-skiers, there are stunning snowshoe and cross-country trails, sledding hills and horse-drawn sleigh rides. 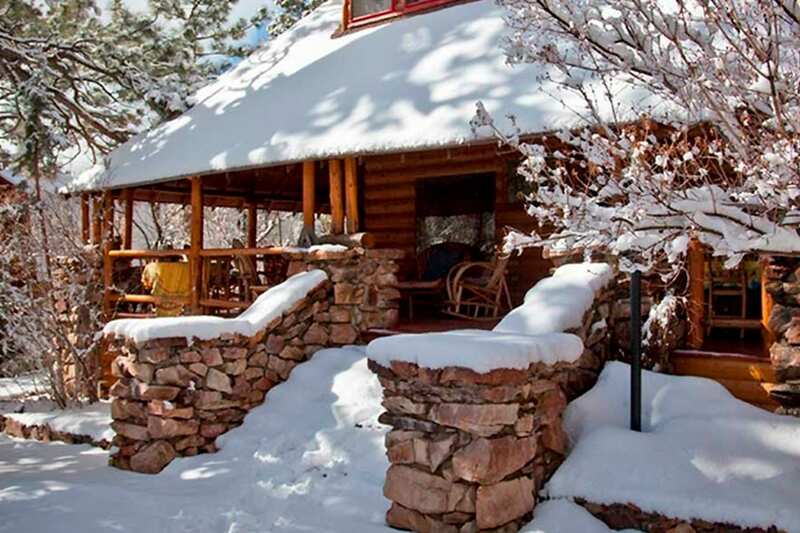 After a day of adventure in the snow, cozy up next to the fireplace or relax in the outdoor hot tub. 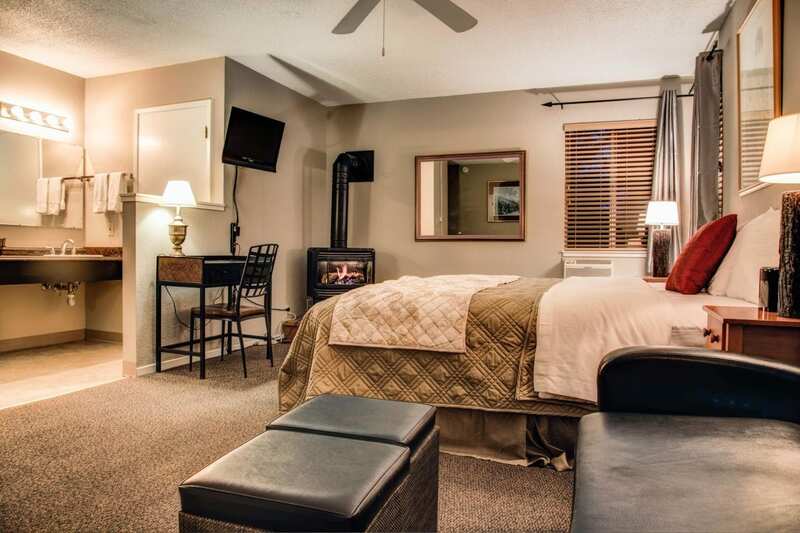 A delightfully hospitable gem, South Lake Tahoe’s 7 Seas Inn is a short walk to a private Lake Tahoe beach, the famous casinos of South Tahoe, and the gondola for Heavenly Mountain Ski Resort. This boutique inn with a B&B attitude treats guests each morning with an expanded continental breakfast, and the surrounding winter playground offers up snow shoeing, cross country skiing, snow mobiles and horse-driven sleighs. Return to the inn for an après ski innkeeper reception each evening, including wine, beer, and homemade appetizers. End the evening around the firepit, in the hot tub, or in front of a roaring fire in one of the fireplace rooms. 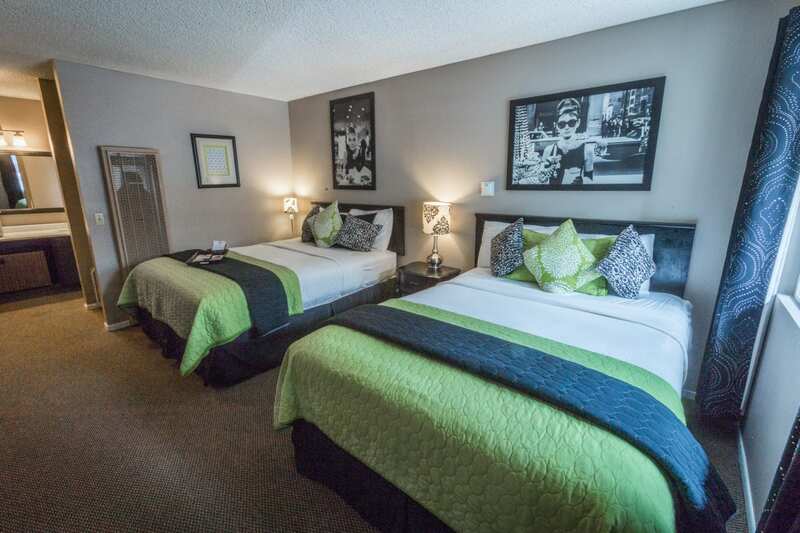 Also in close proximity to South Lake Tahoe’s winter activities and just a mile from Heavenly Ski Lodge, the recently renovated Alder Inn serves up 24 stylish rooms with all-new paint, carpeting and luxury bedding. The rooms include thoughtful appointments such as cozy bathrobes, Keurig coffee makers, microwaves, mini refrigerators, and wine glasses and openers. After a day of play in the snow, guests can challenge their partners to a game of ping pong back at the inn or relax with a soak in the inn’s outdoor hot tub. On Lake Tahoe’s quiet West Shore, the Tahoma Meadows Bed and Breakfast Cottages is a collection of charming red cabins tucked among sugar pines. Guests can take their pick from cottages with a claw-foot soaking tub, a fireplace, a view of the lake, or even all three. 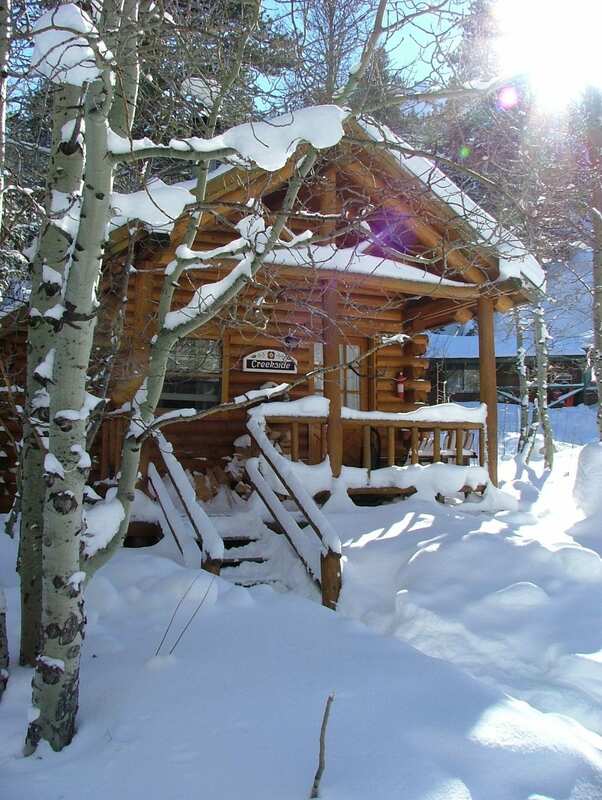 Larger offsite rental homes are perfect for families, and select cabins allow pets. After a day on the slopes, guests will find complimentary snacks and drinks waiting for them in the lake-view common room, and guests of the B&B Cottages, will be greeted with a hearty family-style breakfast each morning of their stay. The Cottage Inn at Lake Tahoe features a cluster of cozy cottages nestled among the pines, just a stone’s throw from the lake and close to winter snow activities. 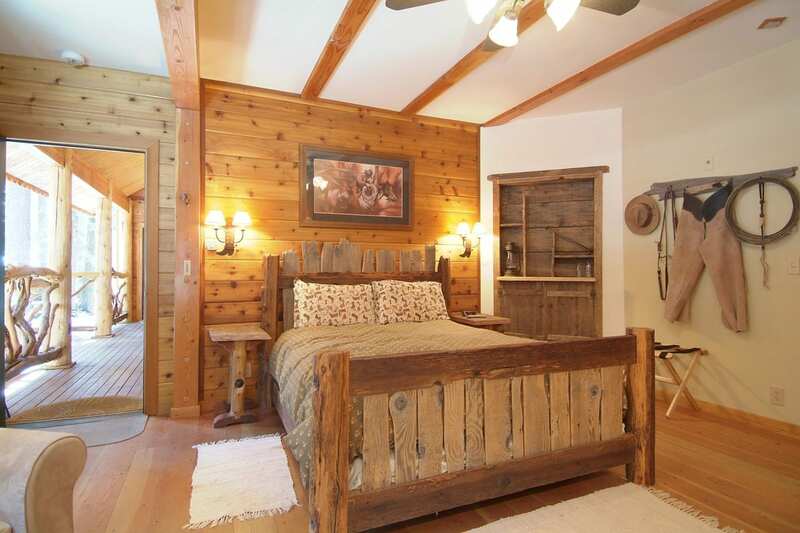 The cottages were built in 1938 in “Old Tahoe” style, with knotty pine paneling and inviting stone fireplaces. Private beach access allows for a peaceful stroll around the lake, accompanied by picturesque views of the snow-covered mountains. In the main lodge, guests can sit around the crackling fire, nibble on homemade cookies, or enjoy mulled wine and piping hot soup after an active day of skiing. 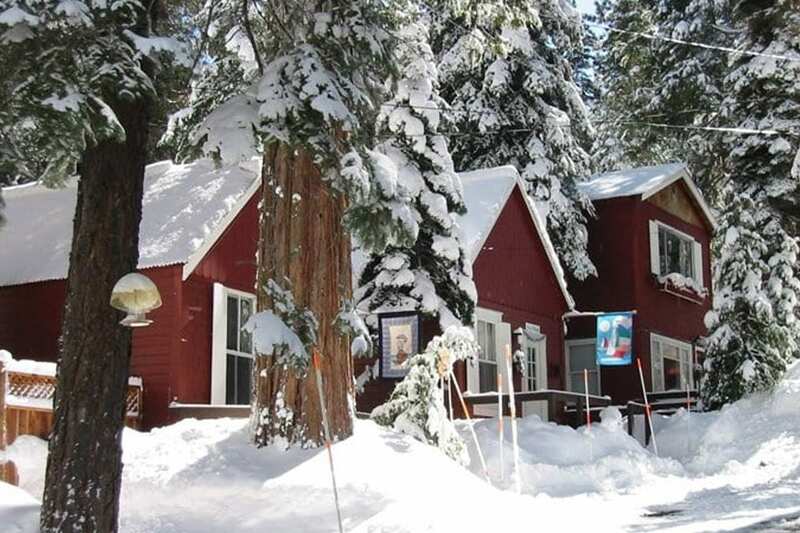 Donner Lake Inn, near historic Truckee, is nestled on two forested acres, across the street from Donner Lake. The contemporary mountain-themed inn features an inviting great room with a wood-burning fireplace, books and games to keep entertained on chilly winter nights. Within an easy drive of several major downhill and cross-country ski areas, the inn offers a plethora of winter adventures. After a day in the snow, return for hot cocoa, cider, an adult beverage or a light snack before heading into Truckee for dinner at one of the many fine restaurants. Before retiring for the night, take a soak under-the-stars in the outdoor hot tub. 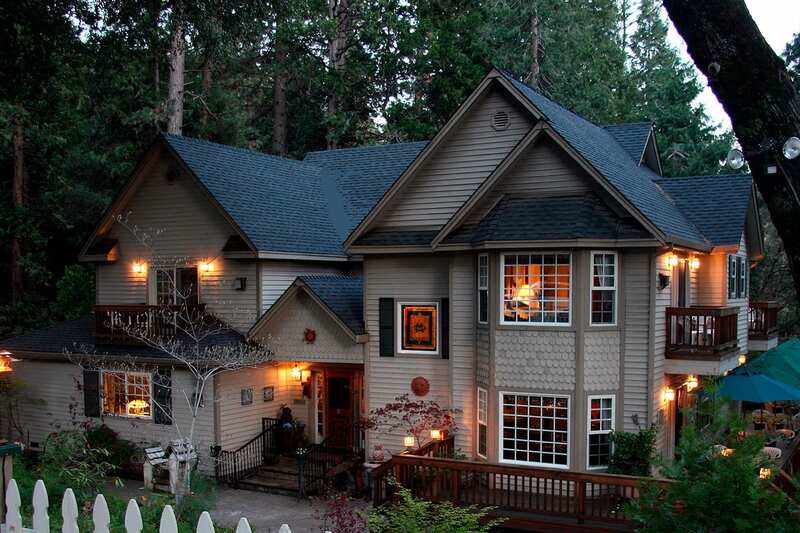 The McCaffrey House Bed and Breakfast Inn is a charming three-story inn nestled in a quiet forest hollow of the High Sierras. Within an easy drive of Dodge Ridge Ski Area, Leland Snow Park and Yosemite, the inn is surrounded by unparalleled winter adventures. Guestrooms are artfully decorated, with fire stoves and exquisite views of the enveloping forest. Evenings at the inn feature happy hour by the fireplace. There’s nothing like a glass of wine and light appetizers while to help plan tomorrow’s snow-filled adventure. Big Bear Lake’s Gold Mountain Manor is an opulent, historic log mansion with a storied past. Modern-day romance seekers and outdoor adventurers enjoy the inn’s antiques and handcrafted log furniture, luxurious linens, cozy fireplaces, plush robes, towel warmers and homemade milk baths. Grab a pair of snow shoes or cross country skis and hit the forested trails just half block away or enjoy the best skiing and snowboarding in Southern California within a 10 minutes’ drive. After spending the day out-of-doors, enjoy long soaks in a Jacuzzi built for two, a cup of hot cocoa, or curling up together in front of a roaring fire.